(NaturalNews) Nurse Kaci Hickox, who has made headlines over the last few days by refusing to quarantine herself after returning from the Ebola front lines in Africa, turns out to have been trained as an "intelligence officer" under a two-year CDC program modeled after the U.S. military. 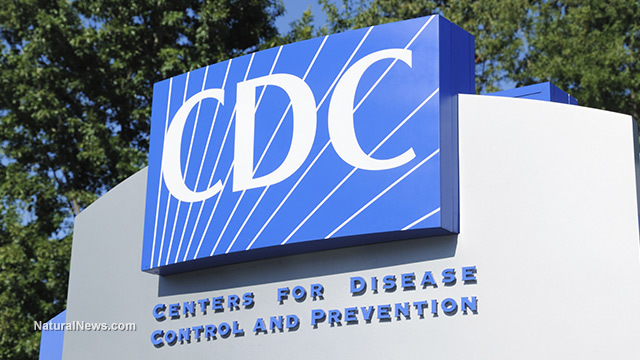 What is a CDC intelligence officer? To understand the answer, you first have to realize that the CDC models itself after the U.S. military which is why CDC "officers" wear military costumes when appearing before Congress, complete with shoulder stripes, stars and badges. EIS officers are on the public health frontlines, conducting epidemiologic investigations, research, and public health surveillance both nationally and internationally. That same page shows a photograph of a CDC intelligence officer wearing a military costume, complete with multiple stars on the shirt collar and a military-style name tag. These are symbols used to project the appearance of authority by adopting military dress even though the CDC isn't even under the command of the Dept. of Defense. The uniforms are just one sign of the militarization of the CDC, an organization so steeped in delusional theatrics that it still won't admit sneeze particles can travel farther than 3 feet or that Ebola actually has a 42-day incubation period, not the 21 days we are repeatedly told. Serving the public, or endangering it? With all this said, why is a CDC-trained intelligence officer screaming so loudly about putting herself into a home quarantine for 21 days to reduce the risk of transmitting Ebola to other Americans? 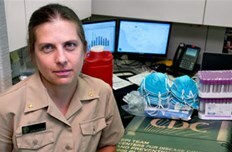 If the CDC is supposed to be serving the public, then why is this CDC-trained intelligence officer clearly abandoning any real concern for public safety by refusing to comply with a sensible self-quarantine rule? "I don't plan on sticking to the guidelines," she said in a Today interview. "I remain appalled by these home quarantine policies that have been forced upon me... I'm not going to sit around and be bullied around by politicians and be forced to stay in my home when I am not a risk to the American public." These are not the words of a concerned, ethically-driven epidemiologist. They are the words of a CDC intelligence operative who has been trained in the art of information warfare. Her words reflect the aims of the CDC which has openly opposed all sensible pandemic protections for Americans. America's most important medical decisions, in other words, are right now being influenced by an intelligence operative trained by the CDC under a two-year program modeled after the military. Are her actions and words now starting to make a lot more sense?